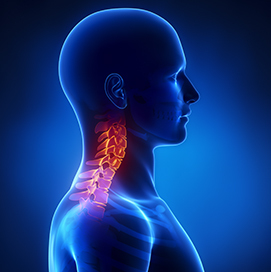 Anterior cervical discectomy and fusion (ACDF) is a procedure that is intended for bone spurs, arthritis, or herniated discs in the neck area. These conditions can cause neck pain, headaches, or radiculopathy in the arm, which is burning pain that travels down the arm and may be accompanied by weakness or numbness. Spinal cord compression of the neck (cervical myelopathy), which is characterized by weakness and numbness in all extremities and possible bladder dysfunction, may also be treated by an ACDF procedure. An ACDF procedure involves the removal of the damaged disc or bone spur and fusion of the vertebrae of the spine to create stability. This procedure is generally performed as an outpatient procedure and is not a lengthy procedure. Patients generally will not require a hospital stay, blood loss is minimal if any, and patients usually experience relief of symptoms and the ability to get back to normal activities and even professional sports if that is their goal. How long symptoms occur before needing surgery? Can Neurological Symptoms Become Permanent? What Criteria should I used to decide whether to have surgery or not?